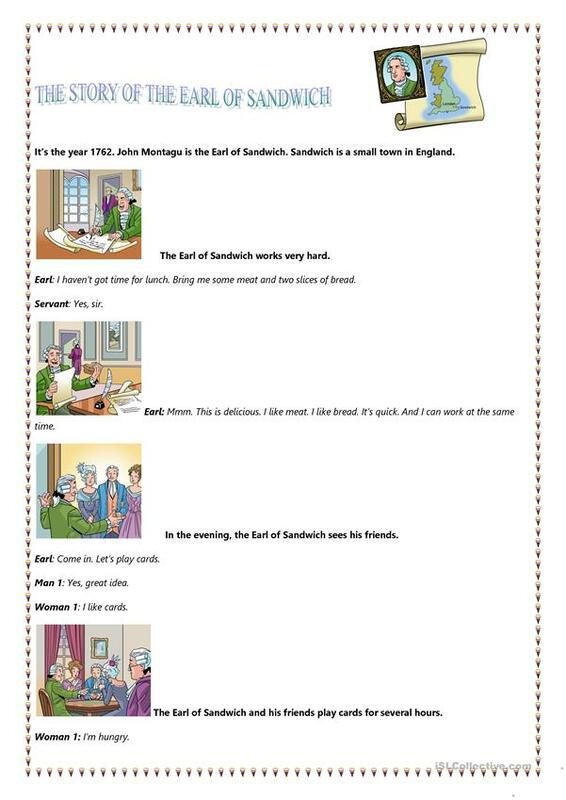 A reading comprehension worksheet based on the story of the Earl of Sandwich for little children. 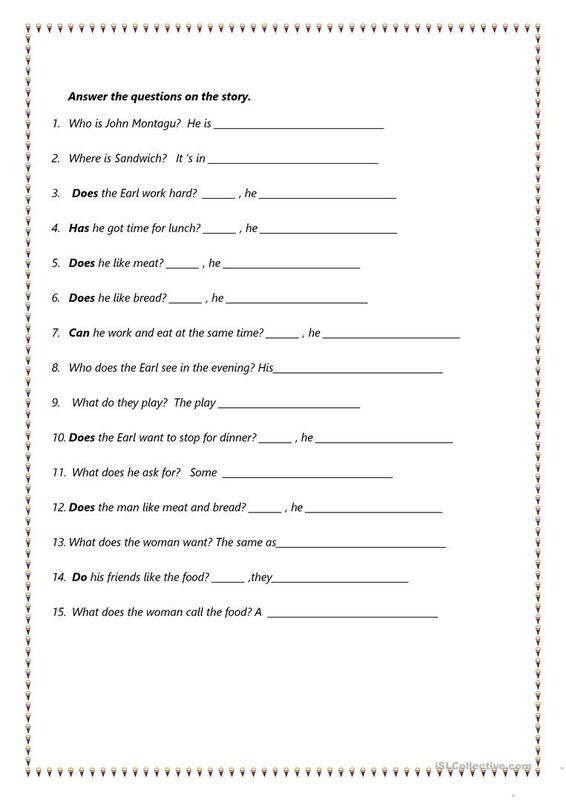 After reading the story, the children have to answer some questions with a little help. This downloadable teaching material is intended for elementary school students at Beginner (pre-A1) level. 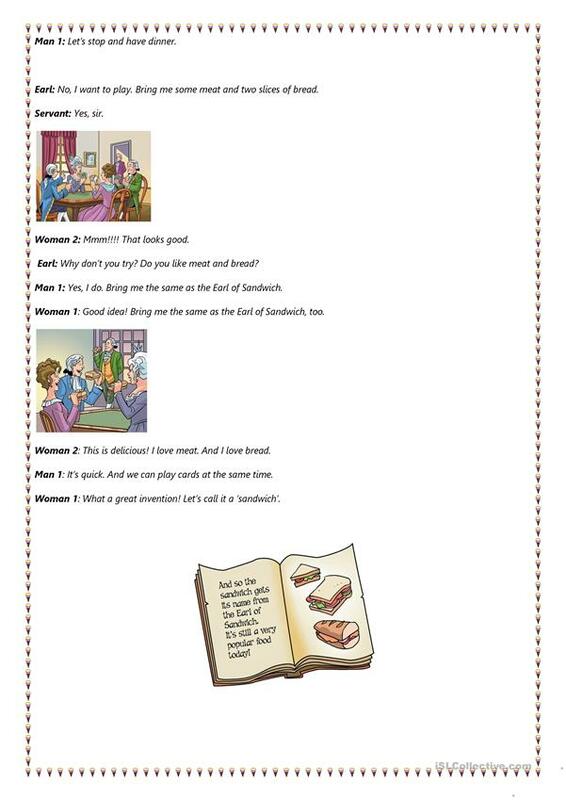 It is a valuable material for developing your groups' Reading skills.